Siberian Husky vs Alaskan Malamute: What's the difference? The fundamental difference between Huskies and Malamutes are their size. Malamutes are true sled-pulling dogs, built larger, with more muscle mass, and bred for pulling heavier loads over long distances. Huskies, on the other hand, are a medium sized dog that are better at pulling lighter loads over shorter distances. 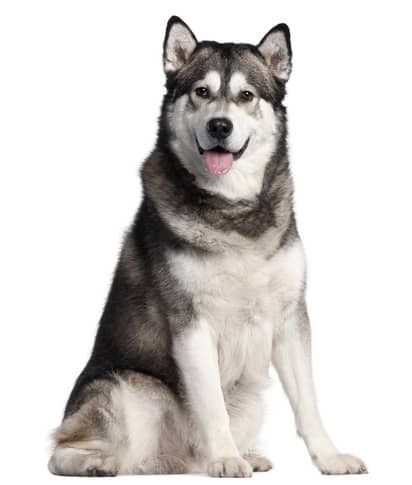 The AKC breed standard for Alaskan Malamute puts males at around 85 pounds in weight and females at 75 pounds. In contrast the Siberian Husky standard puts males between 45 and 60 pounds, females 35-50 pounds, and a couple of inches shorter. For more information on how large a Husky can grow check out our previous research on this topic. For this difference in size and function you would expect Huskies to be a little more energetic, and Malamutes a little more laid back. In other physical characteristics both have similarly colored and similarly patterned coats; thick to repel snow and ice. 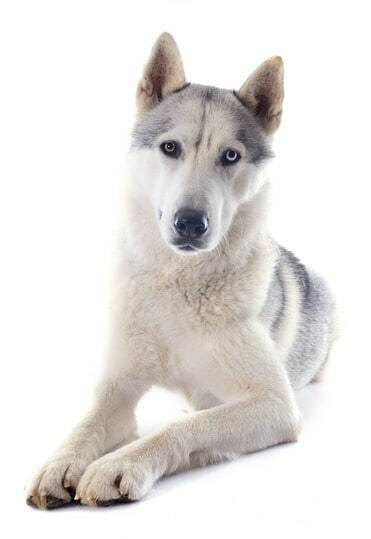 Malamutes will tend to have brown eyes but Huskies might have brown, blue, or a mixture of both. The Malamute tail is going to curl more and the Husky is straight, but both can be bushy in nature to help them curl up and keep their faces warm in the cold snow at night. Both the Husky and the Malamute are born to run and be outdoors. They are both “pack” animals meaning they need firm direction. As an owner you will need to be the “alpha dog” and command them through solid training from an early age, or they might run amuck. Also in similarities is their loveable nature. Neither will make a good guard dog (unless the intruder is afraid of being licked to death). Neither will bark so much as howl, whine, or moan to attract attention. Groomed appropriately both can be very attractive and pretty. 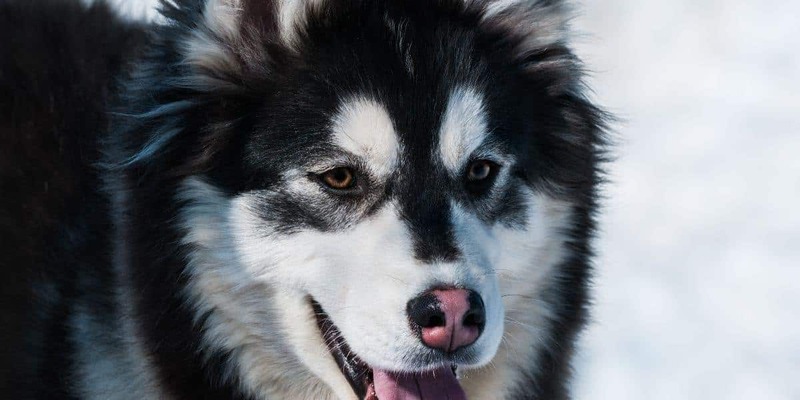 So if you are considering adopting or acquiring a Siberian Husky or Alaskan Malamute, you now know how to tell them apart and their differences. Malamute puppies will grow in to a larger, stronger dog, built for pulling heavier loads over long distances. Husky puppies will grow in to a medium sized dog, less bulk, and more energetic over shorter distances. Whichever breed you choose both are loveable dogs who will test your training skills!